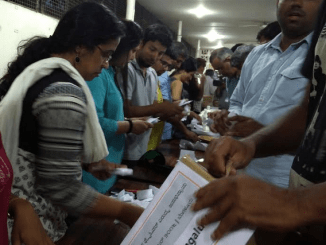 As a forum named Citizens for Bengaluru (CfB), now representing thousands of concerned citizens, with numbers growing by the hour, we approach you to intervene in a serious matter. As you are aware, Sir, the Government of Karnataka proposes to build a steel flyover from Basaveshwara Circle to Hebbal flyover, with connecting ramps on Race Course Road, Palace Road, Vidhana Soudha Road and Raj Bhavan Road. The project envisages a 6.7 km stretch of a six-lane steel flyover to be built at an estimated cost of Rs 2,200 crores that will save, even by the Government’s own claim, only between 7 – 15 minutes of travel time, bring down 812 fully grown trees and erase heritage memories along one of the most verdant and beautiful stretches of our beloved city. GoK, as represented by the Hon’ble Chief Minister of Karnataka and the Hon’ble Minister for Bengaluru Development, has declared its intent to go ahead with this project in spite of the widest public opprobrium and disgust expressed in newspapers and TV channels, on Facebook and Twitter, and a human chain protest that saw the participation of more than 8,000 concerned citizens on Sunday, 16 October 2016 along the stretch that is proposed for an ugly transformation due of this flyover. Nearly 35,000 people have signed online petitions against the flyover proposal, over 100,000 tree lovers have opposed the project by giving a missed call to the an organisation named Jhatkaa, a Public Interest Litigation against it has been filed by Namma Bengaluru Foundation in the High Court of Karnataka, and thousands of people are putting their names and signatures on ballot papers across Bengaluru saying ‘NO – BEDA’ to the flyover even as you read this memorandum. The poll ends on Sunday and a final count will be published. But in the face of such intense opposition to the project, we read in the papers that the Bengaluru Development Authority met yesterday, 20 Oct.2016, and decided to issue the work order to the contractor to execute this controversial project. The Hon’ble Minister for Bengaluru Development also reportedly met media representatives briefly and dismissed public anger about the project and declared that he would go ahead with it. 1. The proposed project is being undertaken without due consultation process that is to be followed as required by the Karnataka Town & Country Planning Act, 1961. The consultation followed by BDA in June 2016 was a sham, with the Government claiming 299 responses by e-mail and telephone calls, of which 73 percent apparently approved of the proposal. The Detailed Project Report, prepared more than a year ago, itself was released only on 15th October 2016, after widespread public protests, with no recourse for public opinion. BDA in its original notification on 27th of June 2016 neither specified the details of the project, including loss of green cover, nor the intended public space acquisition. So what were the 219 responses “approving”. The BDA has not revealed what the responses were saying, how many were by e-mail and how many telephonic. Many e-mail responses opposing the idea bounced because a wrong e-mail id was notified by BDA and when the correction was made, the window of opportunity to respond was less than 48 hours. 2. The Government has changed the project after the sham consultation, increasing the cost from Rs 1,350 crores to Rs 1,791 crores. On 19 October 2016, BDA put out a new idea, extending the proposed steel flyover to be above the existing Hebbal flyover, up to Esteem Mall, again without public consultation. This revision has not been approved by Cabinet and GoK is not revealing whether re-tendering is required. In fact, it is amending the project on a day to day basis, and now it seems the cost estimate is at Rs 2,200 crores. 4. The prescribed mandate of law per the KTCP Act is that planning and development of urban infrastructure projects and concomitant changes in land use plans must involve the wide public at the stage of conceptualisation, approval and costing. The plans, schemes and budgets are to be put in the public domain and due public hearing processes have to be held to ensure there is no violation of statute or corruption in any form. The Steel Flyover proposal of BDA, pushed through by the Chief Minister, comprehensively fails this test, is being promoted in abject violation of the law and is an act that is clearly in Contempt of Court. 5. The project also qualifies as an Area Development Project per the Environment Impact Assessment Notification, 2006, under the Environment Protection Act, 1986. What this means is no work can commence until and unless the project is approved by the Environmental Clearance Authority, and that too based on comprehensive Environment Impact Assessments and Environmental Public Hearing. 6. Another serious statutory violation in aggressively promoting the project is that BDA claims approval of the State Cabinet as a sufficient basis to get going. This is an absolutely wrong presumption. Since the enactment of the Nagarpalika Act, 1992, such projects can only be proposed after due review from economic, social, financial and environmental angles by the Constitutionally mandated Metropolitan Planning Committee, which has been formed already by GoK. Upon the approval of the MPC, the project can then be forwarded by the State Finance Commission to the State Cabinet for final approval, pending other statutory clearances, as cited above. None of these constitutionally mandated provisions have been conformed to in this case. The project has not been placed before the MPC. 7. The knee jerk idea of extending the flyover beyond Hebbal lake is alarming. It seems that the extension will be right through the lake. This would risk the Karnataka Government being in contempt of the Karnataka High Court order in WP 817/2008 (Environment Support Group and ors. vs. State of Karnataka and ors. ), in which the Court protected lakes from any further encroachment and also determined that there would be a “no-development zone” 30m from the legal limits of the lake. That zone would be extended by 2 metres for every 5 ha increase in lake area beyond the initial norm of 40 ha. Such was the concern the Court expressed against encroachment of lakes, that it also specifically directed that even walking paths could not come inside a lake. Several laws and the Constitution are being ignored by the Government in pursuing this project. The project is being pursued in haste. Green and heritage spaces on this road, including the Bangalore Golf Club, Carlton House and Balabrooie Guest House are under imminent threat of damage. The flyover will not only destroy the aesthetic experience of the drive along the stretch, but add to vehicular pollution and is estimated by some experts to raise the heat factor by 2-3 degrees Celsius. It will block out sunlight and prevent air flow. It will affect the health of the residents. There are other safety and security concerns about the proposed flyover expressed by experts that are relevant to vital installations in the city and to the CM’s residence and Raj Bhavan. Estimates for the cost of the project with public money as provided by the Government’s own officers are far below the cost given in the public domain without inclusion of other costs of acquisition of land and property along its route, a part of which are in the domain of the armed forces. All of this leads the people who are opposing this flyover to believe that this is both a gross waste of our tax money, and the entire process and costing of the same is not bonafide. We request Your Excellency to immediately intervene in the matter, seek the institution of an inquiry into the framing of this project proposal and urge for cancellation of the tender. As Cohan pointed out, there are a few assumptions, mainly about BDA that you’re getting wrong. 1. I can’t recall a single project by BDA that has been implemented without controversies or being dragged to court. Arkavathy layout is still doing the rounds in the courts. 2. None of the flyovers in ORR were implemented on time, and none of them have helped solve any traffic issues. 3. BDA is only a building organisation. They only know how to build. Expecting them to deal with traffic and solving traffic problems is wrong. You cannot expect your architect/contractor to tell you whether the area where you’re constructing the house is close to your work and if your commute will improve or such things. An architect knows only how to build things, and in this case he might even bias you to get the project. Sadly, there is no planning committee as such which has the powers to plan and then ask BDA to take up projects. This is what has been causing the total rot of poorly done BDA projects dotting the city all over. 4. There is no money shown on paper. Peripheral ring road land acquisition is still not done citing money issues. Farmers have not been paid either and are now protesting. There is a huge likelihood that we’ll be left with an incomplete project which won’t help anyone. Remember that elections are in 1.5 years. If a different party comes to power, the project might not get the money to complete as those who have milked it will have got their cuts and gone. Payments are always made in stages, not bulk. No citizen is going to win this one, whether supporting or not! 5. BBMP has been trying to get approval for a similar steel flyover from minerva to hudson circle. For close to 2.5 kms they are projecting 135 Cr. For 6 years they’ve been trying to tender it. Finance Dept has also refused money. 6. Enough people have suggested flyovers and even smaller stretch elevated roads over the actual bottleneck points. You have some bottlenecks in the middle does not necessitate a full length flyover. But BDA has been adamant. “They are not handling it properly, that’s ok” is the approach that leads to large scams. It is not just an infra issue which we can argue and discuss scientifically. There are far bigger things at play which people are fighting for. I read your article and it’s a nice article. However, I believe there might be a few assumptions you are making which might not be correct. 2. You are speaking of the flyover helping speed up buses. 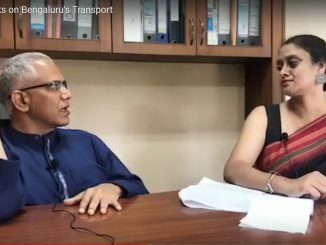 However, alternatives such as increasing the number of buses could (if done right) reduce traffic on that stretch (and all over Bangalore) to the extent that buses can ply at the ground level without hindrance. Of course, I agree with you that the traffic from Hebbal, RT Nagar, etc to the center will have to improved. But it hasn’t been shown that the existing flyover proposal will help do that. It also seems possible that attempts to reduce overall private transport usage (by drastic improvements to public transport infrastructure) which would be doable for the same price, might give us a lot better bang for the buck. The article referred to in answer to point 5 is below. Also, seeing the photos of the Kolkata steel bridge in the BDA document below and news articles, I feel claims of poor aesthetics are also exaggeration. Please decide for yourself. As a resident of North Bengaluru, who supports this steel flyover project, I wish to reply to this Letter, so that people don’t rush to conclusions. I have recently written the below article, in support of the Steel Flyover. Readers may want to hear views from residents supporting the project too. Firstly, this way of making a representation to the Governor or approaching the courts seems lot more meaningful and constitutional, than claiming that number of people attending a protest human chain, is a vote on the project by the city itself. Secondly, let us all hope that the Govt and BDA respond to this letter or reply in court about these concerns so that people can make an informed choice. Any accusations of BDA not following procedure does not imply the project is bad. We can all make the effort to make this project a success by working with the government and BDA. 1. Claim: Public consultation as stipulated by KTCP Act was not done. Calling the consultation done by BDA in June, 2016 a ‘sham’ is uncalled for. Consultations are not vote by public, but suggestions and concerns that need to be taken into consideration by BDA. As we’ll see later, while making documents like DPR available online, is desirable, it does not seem to be legal requirement. The law says documents should be available in the BDA office for public to see. It’ll be interesting to see someone tried and was not able to access them. The RTI petitions are a different story. RTI has its own guidelines and CIC is the appropriate authority to rule on what should be made available. However, lets appreciate the fact that BDA has become more accessible during the course of this controversy. They have put documents to explain the project. This is not a valid argument. When Karnataka Assembly passed the 2014-15 budget, the estimate was 1100 cr. Then by the time tenders were requested, cost escalated. The company that won the bid seems to have quoted 1800 crores, which after negotiation became 1791 crores. BDA has explained the cost escalation. You can read for yourself and decide if its unreasonable. 3. Contempt of court order. The order and BMRCL’s response to that order are in the below link and makes an interesting reading. They basically argue that Metro doesn’t come under Town planning at al, so KTCP doesn’t apply to them and despite that they did public consultations. This is likely to be part of the PIL hearings. Its better to defer to the opinion of the Honourable Court on this. 4. Not adhering to the KTCP act provisions. As explained already, this is an accusation. BDA could have done a better job. But we know that some consultation took place in June and more may have been possible between affected land owners and BDA. If there have been lapses, lets hope government steps in and make things right. It'll be interesting to know more about this. BDA has clarified in the above shared update that each project detail need not be approved by MPC. Personally, I think this is right. We'll all be better of if MPC performs the role of a macro-level planning body instead of micro-managing each project. BDA is the secretariat of the MPC and they can be left to take care of such details. Ofcourse with proper oversight by MPC, govt and vigilance by residents. The initiation of this project and formation of MPC happened around the same time in 2014. And MPC did not meet till this year. So there doesn't seem to be any blatant attempt to hide this project from MPC. But it'll be good if MPC discusses the project now, considering the protests. Lets hope that happens. BDA has only proposed a plan and as far as I can tell, it does not go over the lake. Lets remember that both Hebbal Flyover and Airport flyover are already there in the vicinity of the Lake. The correct thing here will be to wait for the BDA to send the proposal to the govt and for the govt to decide what it wants to do with this proposal. More consultations, tender expansion all follow that. Let people closely follow the developments are raise concerns if needed. There may be better informed people than me, but nothing in the judgement seems to indicate that the Tree Council may not grant approval for the cutting of trees, when 56 trees are proposed to be moved and 60000 saplings are proposed to be planted. Hope BDA clarifies on this. Rest of the claims seems to be exaggerations and not neutral. BDA has clarified that only a compound wall needs to be moved and no heritage structure will be damaged. Claims of 2-3 degree heat radiation are all things the govt needs to consider, but they are well within their mandate to go ahead, with that as necessary evil. Please read my article on how the steel flyover can immensely improve people's quality of life. 5 holes in a golf club (which itself is ecologically bad), is not more important than say some 5 lakh people who may get relief from daily traffic jams. Finally, I hope people will continue to have an informed debate, with respect for the opinions in support of the bridge too. We Bengalureans are perfectly capable of finding an amicable solution to our traffic problems.